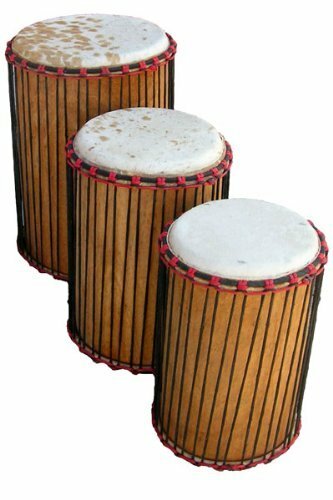 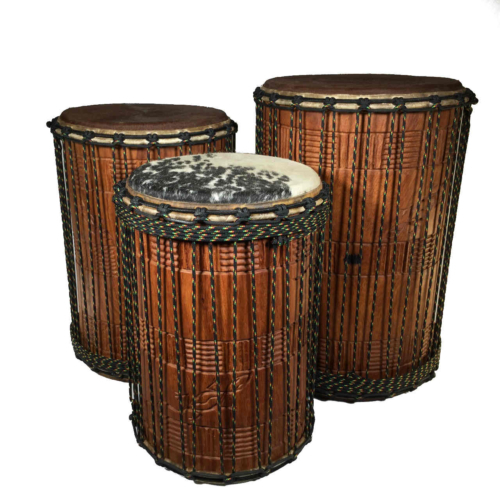 These dunun drums are part of the Classic line of imported drums from Africa Heartwood Project, and are a travel drum set, which offers a more compact size and reduced weight.They are sold as a set with average sizes: Dundumba 16″x16″ – Sangban 13″x13″ – Kenkeni 10″x10″. 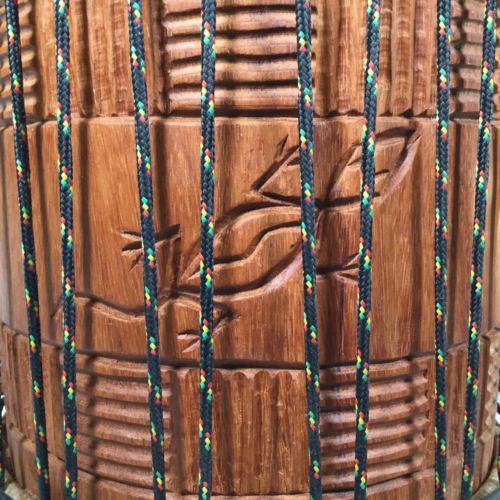 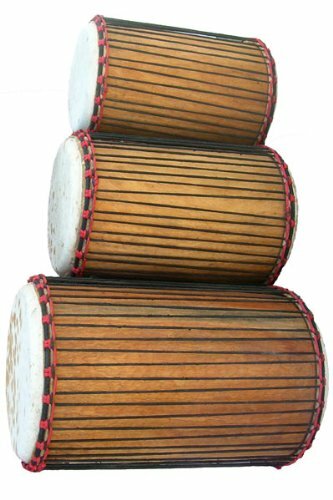 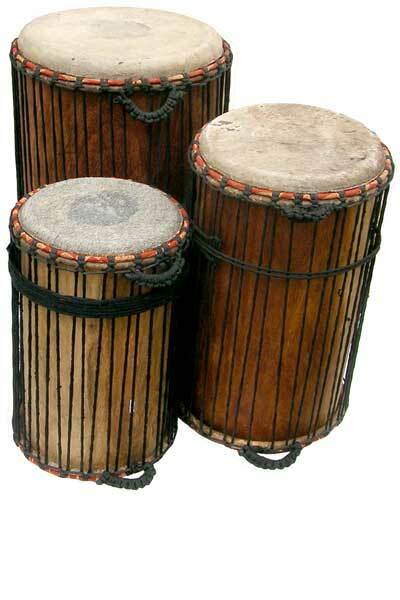 The dunun (DOO-noon) family of drums (aka djun djun or dun dun) provides the rhythmic and melodic base for the most West African ensemble drumming. 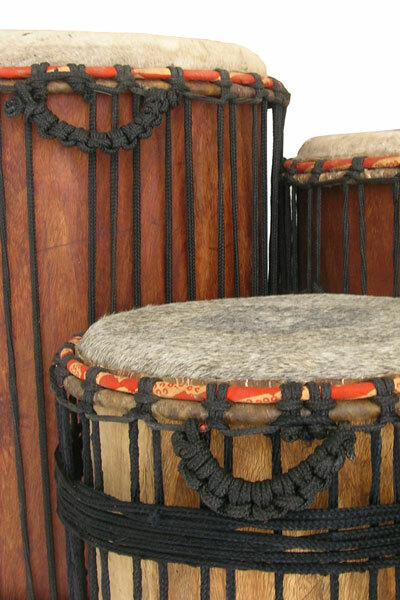 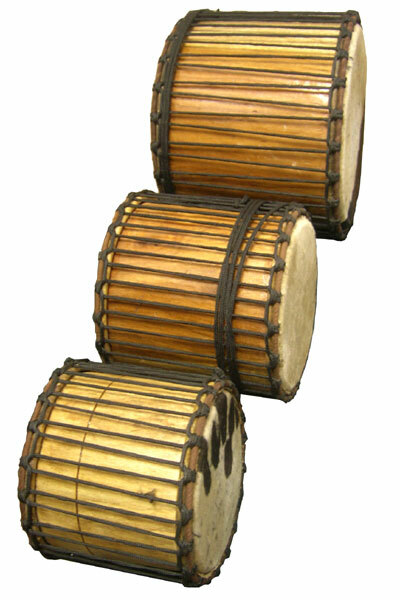 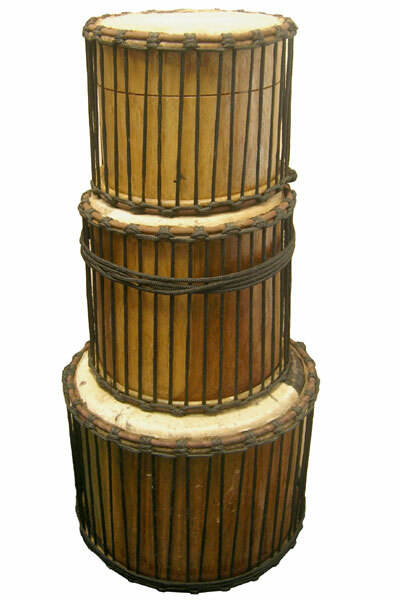 This family of double-headed, cylindrical, rope-tension drums consists of the doundoumba (largest), sangban (medium), and kenkeni (smallest).